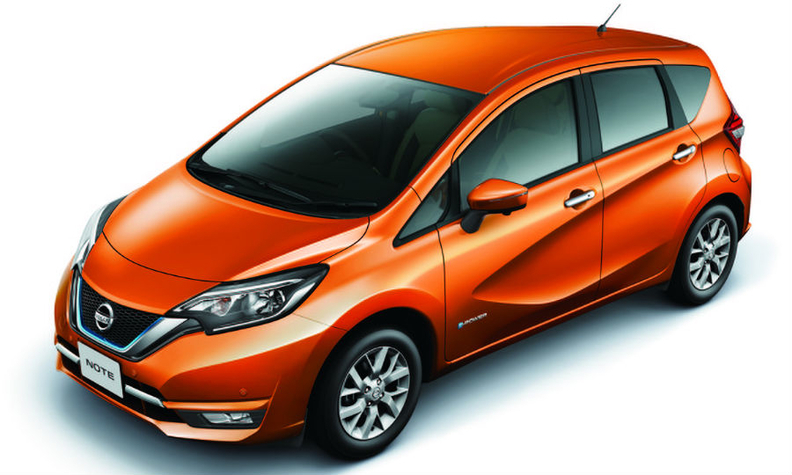 Nissan will offer the Note with e-Power in Japan. PARIS -- Renault-Nissan's new gasoline-electric hybrid technology would be competitive in Europe, CEO Carlos Ghosn said, as carmakers turn away from diesel for smaller vehicles. 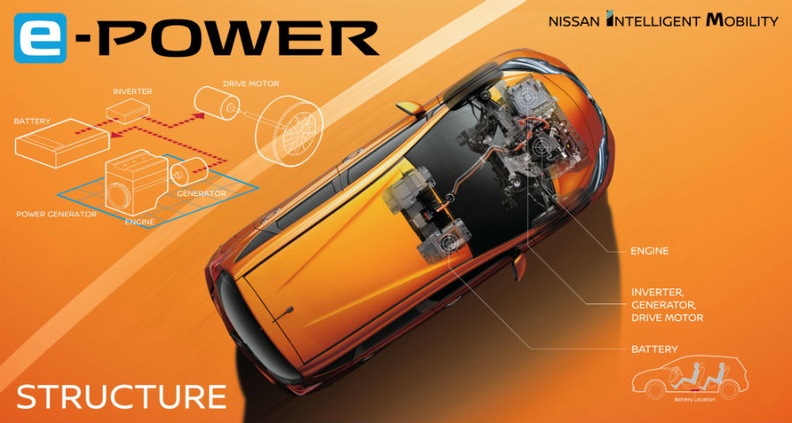 The "e-Power" transmission, announced a day earlier by Renault's alliance partner Nissan for the Note subcompact car in Japan, amounts to an electric vehicle powered by a small gasoline generator instead of a large battery. Carmakers are racing into electrification as Volkswagen's emissions test-cheating scandal hastens diesel's decline and stiffens regulatory resolve. Renault and Toyota are among those signalling a faster retreat from diesel in small cars. Although not emissions-free, e-Power's smaller battery makes it significantly cheaper than electric-only cars and never needs recharging. Fuel economy figures suggest that the carbon dioxide output compares well with traditional hybrid minis such as the Toyota Yaris. "It's definitely cost-competitive with diesel," Ghosn said, adding that the new technology "absolutely" would be viable for the European mass-market. Ghosn, who heads both carmakers, was speaking to Reuters on Thursday at the New York Times Energy for Tomorrow conference in Paris. A Nissan spokeswoman said: "There are no current plans for e-Power in Europe. But the technology can be adapted to other markets and (vehicle categories), so we wouldn't rule it out." Renault-Nissan is not alone in using combustion engine generators to power electric cars. They have been featured aboard Chevrolet's 2011 Volt plug-in hybrid car and as a range-extending option for BMW's i3. PSA, the maker of Peugeot, Citroen and DS vehicles, is building electric prototypes with single-cylinder generators from Israeli start-up Aquarius Engines. Nissan said that Japanese prices for its e-Power Note will start at 1.77 million yen ($17,140), a 27 percent premium over the basic gasoline version. That is comparable with the extra outlay for a diesel option in European cars such as the VW Polo.